Melissa Barrera snapped a picture of her look for instagram yesterday(July 16th) before she headed up to promote her hit new tv show 'Vida'. She posed for the gram rocking a BLUMARINE PRE-FALL 2018 multi-stripe, key-hole knee length dress with an asymmetrical ruffle panel and a high, tie neckline. I love the way that Melissa's look was styled for her outing. 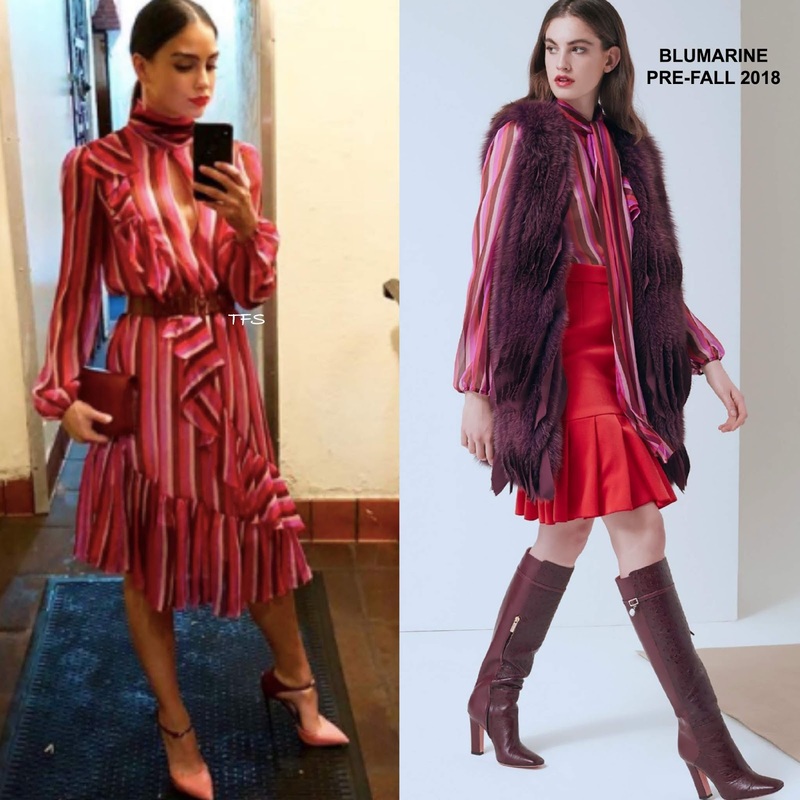 Her look was coordinated perfectly with an burgundy ELISABETTA FRANCHI belt, a burgundy DIANE VON FURSTENBERG clutch and burgundy & pink panel MARCO PROIETTI pumps. KATE SPADE NEW YORK earrings, a colored lip and a ponytail finished up her winning look.